We’d love your help. Let us know what’s wrong with this preview of The Museum of Extraordinary Things by Alice Hoffman. To ask other readers questions about The Museum of Extraordinary Things, please sign up. I am astounded by all the folks who loved this book and had no problem with all the horrific subject matter. How could they "like" reading the description of the Triangle Shirtwaist factory fire, with all the girls jumping to their deaths? How could they enjoy reading how the Professor tormented our heroines, among others, and went unpunished? Juliet Sigh. Yet another question about the very purpose and nature of fiction. LIFE isn't fair, nice, pretty, just, or happy lovely la la all the time. Do…moreSigh. Yet another question about the very purpose and nature of fiction. LIFE isn't fair, nice, pretty, just, or happy lovely la la all the time. Do you want fiction to lie to you and tell you that life is wonderful and all happy endings and all people are good and nobody dies or is unhappy or unkind? Or do you want fiction to give you a window into people you wouldn't normally be able to connect with, to see inside them and learn why they think the way they do? Do you want fiction to portray the difficult and challenging parts of life so you can see how other people deal with them, so you can see from the inside that other people feel similarly dismayed, upset, and challenged as you do? Do you want to take some comfort from the fact that true fiction shows us that we are all human beings who face difficult, sometimes tragic situations and that we have to find some way to live through them or in spite of them? Fiction that does any or especially all of these things well is the kind of fiction I like. Fiction that does a good job of revealing what it means to be human, in all its struggle, in spite of all the unpleasantness that surrounds us is the kind of fiction I like. Skimming through the reviews, I'm struck by a pattern- people who liked the Night Circus didn't like this book, and vice versa. Anyone who's read both books who can shed some light on why there might be a divide like that? I'm so curious! It’s everything that I wanted Night Circus to be. It’s everything Water for Elephants aspired to be and just wasn’t. It has that gloomy mood of the Broadway show Side Show (book by Bill Russell) mixed with that “freak” nature that made me love Geek Love by Katherine Dunn (1989). It has hints of political and class strife like Ragtime but there is a love story here that I haven’t seen any of these works accomplish. The prose that Hoffman tucks away in the nooks and crannies of these pages not onl It’s everything that I wanted Night Circus to be. It’s everything Water for Elephants aspired to be and just wasn’t. It has that gloomy mood of the Broadway show Side Show (book by Bill Russell) mixed with that “freak” nature that made me love Geek Love by Katherine Dunn (1989). It has hints of political and class strife like Ragtime but there is a love story here that I haven’t seen any of these works accomplish. The prose that Hoffman tucks away in the nooks and crannies of these pages not only inspire and delight, but they bring depth, heart and familiarity to these rough around the edges characters. Today I looked back over some of the lines I had underlined with my pencil and each one either brought tears to my eyes or a shiver up my backbone. How could a novel set in such a thrilling and fascinating time period and location (New York City in the early twentieth century) be such a disappointment? I was really looking forward to delving into this world and in the end, I could not wait to finish this overwrought, far-fetched and ultimately ridiculous story. The characters were nothing more than one-dimensional creations meant to embody archetypes (the Jewish immigrant, the European charlatan, the Innocent Cinderella) and hurled into rea How could a novel set in such a thrilling and fascinating time period and location (New York City in the early twentieth century) be such a disappointment? I was really looking forward to delving into this world and in the end, I could not wait to finish this overwrought, far-fetched and ultimately ridiculous story. The characters were nothing more than one-dimensional creations meant to embody archetypes (the Jewish immigrant, the European charlatan, the Innocent Cinderella) and hurled into real historical events like slaves into the lion pit. You constantly feel the novel digesting its research and regurgitating it not very subtly, treating dramatic historical events almost off-handedly, with dryness and an alarming absence of real pathos. The "love story" is completely farcical and devoid of any complexity and sense of progression. I understand that there is supposed to be an element of magic realism at play here but can writers still write sentences like "She saw him and knew in that instant that she loved him" (I'm paraphrasing) without feeling a sense of embarrassment? Magic realism cannot work if you cannot believe in the foundations of the story and sadly, there was nothing believable in these characters and the way they interacted with each other. The novel is also riddled with repetitions and tedious, cliché declarations about the immigrant experience and the nature of identity. Five stars is not enough. If I could I'd give it ten stars. I can't even with this book...my heart feels like it might explode. Joy does not begin to describe how I feel after finishing one of Hoffman's books. I feel transformed. Am I the only one who ever feels this pure rush of emotion after reading a book? I hope not. What struck my curiosity with this one was exactly that - the thrill of entering a world full of curiosities, oddities and wonder. This was my first dose of Alice Hoffman's writing and I’m pretty confident when I say, it won’t be the last of her books I read. Even though The Museum of Extraordinary Things wasn’t everything I imagined it to be, there was a beauty and a depth to her words that kept me going. The Museum is a place of illusions, bogus science and a cruel professor. For about the first half of the book, I felt like I was reading two separate stories. The author really took her time setting up the backstory and delving in to the lives of the two very distinct perspectives - Coralie and Eddie. The characters were fully developed and likable for different reasons, but it took entirely too long for the mermaid and the lost Jewish boy to cross paths. The one thing that both Coralie and Eddie desired, from a young age, was that sense of freedom. To be able to live their lives how they chose to; not to be held captive by guilt or obligation. It isn’t until the halfway mark that they have any sort of interaction and that was my biggest gripe with the story. Their connection felt weak to me. I wish the author would have struck more of a balance between the development of their individual pasts and the time they spent together. I love the fact that Coralie and Eddie found what they needed in one another, but a big part of me couldn’t shake the insta-love feel of their relationship. Or maybe it’s just that I don’t get love at first sight. Who knows. I fear that I am a little close to this subject to be able to appropriately judge it. For the sake of full disclosure, I have to admit that I manage the museum collection for the Coney Island Museum, so I know the history, I know the stories of the Dreamland fire, the various visits by famous people, the layout of the attractions, and the generally surprising stories of 1911 Coney Island. That being said, there is little new in the way of Coney Island history. It has all been written before. At f I fear that I am a little close to this subject to be able to appropriately judge it. For the sake of full disclosure, I have to admit that I manage the museum collection for the Coney Island Museum, so I know the history, I know the stories of the Dreamland fire, the various visits by famous people, the layout of the attractions, and the generally surprising stories of 1911 Coney Island. That being said, there is little new in the way of Coney Island history. It has all been written before. At first I was very intrigued by Coralie's life. Her imprisonment in her father's Museum of Extraordinary Things, her forced swims and attempts to be a sea monster were very interesting. Her fascination with Dreamland and old Coney Island were interesting to me too, but the primary story fell flat. I found the Professor's horrors to be horrifying, as expected, and the love story unconvincing. (This too could be a problem of mine, since I find those love at first sight swooning obsessions that often crop up in historical fiction to be eye-rollingly unbelievable). While it was not unenjoyable, I felt that this book has been written before, and better. For an excellent representation of Bowery life, the Jewish immigrant experience, the ins and outs of 1910-1911 Coney Island, the gangsters and prostitutes and corrupt officials, read Kevin Baker's Dreamland. It too has its problems, but it was much more immersive. For a better story of circus sideshow folk, and the unethical things people do to each other, read Geek Love - it's an incredibly good novel. I think I'm turning into a monster, a horrible monster who hates everything and everyone and lives on dissatisfaction and bitterness. How in the world could I not have loved this book? I mean, look at the title! The cover! The synopsis! It's full of promise and I was lured in by the tantalizing story of a girl who grows up alongside her father's museum of oddities and assortments and is, herself, abnormal and is trying to come to terms with her perceived place in the changing w What just happened? How in the world could I not have loved this book? I mean, look at the title! The cover! The synopsis! It's full of promise and I was lured in by the tantalizing story of a girl who grows up alongside her father's museum of oddities and assortments and is, herself, abnormal and is trying to come to terms with her perceived place in the changing world. But that's not what this book is about. It's about finding out who you are and learning to love yourself, flaws and all, despite what you've heard or have been lead to believe. No, wait...it's a snapshot of everything that went on in NYC in the spring of 1911 and the impact those events had upon the city's inhabitants. No, wait...it's about equality and fairness for workers who make the rich richer. No, wait...it's about feminism and the horrors of using women in all the terrible ways they are used - as workers who die in fires, as possessions to be burned in the face with acid, as sexual objects, as mythological creatures to be tamed and conquered, as non-humans - and how that's wrong and must be changed. No, wait...it's about animal cruelty and how that's wrong and must be changed. No, wait...it's a murder mystery. Who is running around killing people and sewing their lips shut. And why? No, wait...it's about the Dreamland Amusement Park on Coney Island and how big business kills the mom and pop stores in small communities. No, wait...it's about fire and disaster. No, wait...just what in hell IS this book about? I have no idea because it was all over the place. I never felt like I knew what I was supposed to be focused on. Add to that a whole slew of boring characters or interesting characters that were used as props and didn't really get to do much in the story as well as multiple perspectives (There's Coralie first-person followed by Coralie third-person then...crap, I've already forgotten the guy's name. Ezekial? He went by Eddie, I think. Ok, so then there's Eddie first-person followd by Eddie third person and they bounce back and forth between each other. Why? Why have first-person narration and then move to third person? Is that to show that each narrator is not to be trusted but if we back off and look at the bigger picture, we'll get a better idea of what's happening? Why are we inside the head and then kicked out? That did not help me to understand the story any better) and it's a big mess. I couldn't get a hold on Coralie. I couldn't tell if she was a neglected child who raised herself on books so lived in a tiny world of her own making while also existing among her father's hired "wonders" and so was sort of meek and dreamy OR if she was secretly strong in her core but was just waiting for the right time to strike out on her own and become the person she'd always wanted to be OR something entirely different that I didn't even notice because I just could not figure out this character. Eddie. He's supposed to be a bitter little jerk who grows up into a bigger jerk and he has these issues with his father which make him renounce his religion and become all shaven-headed, Americanized, street rat turned cynical photographer but really? He's pretty flat and dull and isn't a bad boy with a heart of gold and isn't all that tormented and he winds up making amends for all the wrong-thinking he's had because he finds true love and that gives him a purpose in life. Or something. I'm not sure; I think I missed the point of his story. Oh, dogs. He rescues dogs. And takes pictures of dead people and criminals and he knows how to find the lost. Well, except for himself. He's lost but other people have to keep guiding him to his path. Or...something. There are fish in the story. Two of them. A trout in a bucket that probably meant something that I do not have the ability to grasp, though it reminded me a lot of Big Fish. There's also a giant, dead bass. There is a missing girl and a dead body and they turn out to be the same person, though the reader knows that well in advance. Her lips are sewn shut. There's a hermit and his wolf. There's a livery man who is a former convict and he loves little birds. There are two fathers, one who let his son go because that is what is best for the son and one who clutches his daughter tightly and misuses her for his own fame and fortune and strange river monster delusions. There are rich people, one who loses his pocketwatch to a worker's child and one who is the rich kid's sister and who becomes a civil rights crusader. There are two destructive and horrifying fires, one that's glossed over because we all learned about it in our high school history books and the other that is sensationalized to the point that I felt my emotions were being manipulated and that pissed me off. There's a tortoise and some birds. There are "freaks" who perform both at the museum and at the amusement park down the road. Two words – horribly disappointing. I'd be really relieved if Alice Hoffman stepped up to say she was busy cataloguing her library of obscure Latin books on topography and so paid someone else to write this novel for her. Because that's how unlike Hoffman's usual books, this latest offering is. This novel contains none of her signature lyrical sentences and not one character you can admire or understand. There is nothing whimsical here, no brooding relationship; it is not a story you wish you could slip into. A weak-willed female character who has a perverted father with a twisted mind, an unattractive selfish male character set against an cruel backdrop, two story-lines which cross far too late in the novel; somewhat the opposite of usual plots which Hoffman devises for her novels. The museum mentioned in the title is little more than a sideshow of freaks of nature: think – the Elephant Man. The history featured, the fires at Triangle Shirt Factory and Coney Island, is not done so well enough to interest me sufficiently to run to Google to see the facts of these events: usually I'm a devil for hunting down historical facts mentioned in books. And do not get me started on the chapter-prefacing italics sections!!! Don’t get me wrong I loved Night Circus but for different reasons. Coralie and Eddie’s stories kept me equally enthralled as these two young people each struggled to find their own way in the world despite and because of their families and backgrounds. I thought the ties to historical events were well researched and fleshed out as part of this riveting fiction. 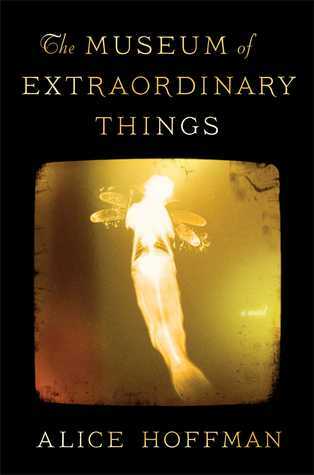 The Museum of Extraordinary Things is a beautifully written book about belonging, love and beauty, among other things. It is the story of Coralie, a girl with webbing between her fingers who lives with her father and his collection of extraordinary things and people. It is also the story of Eddie, a Jewish boy who flees with his father from a village in Russia afte The Museum of Extraordinary Things is a beautifully written book about belonging, love and beauty, among other things. It is also the story of Eddie, a Jewish boy who flees with his father from a village in Russia after his mother is murdered. Eddie is a photographer and Coralie is one of her father's "extraordinary things." Both Eddie and Coralie have known hard times, poverty and hunger. They have been beaten down, overworked and abused. They both carry secrets. Coralie has discovered a diary in a locked drawer in the basement. Eddie has a stolen watch in his pocket. Beyond the personal lives of the two protagonists, this is also a story about New York and how it was developing outwards, consuming the woods and running pavement over grass. It is also about the development of labor laws, the rights of the worker and unions. Two actual catastrophic fires are recorded in this historical fiction. They highlight the horrific losses humanity has sometimes endured in the name of progress and, especially in the case of the factory fire, greed. Those pages are hard to read. But Hoffman has written them beautifully and they feel true, as if the reader is standing there, watching the disasters unfold, and questioning what horrific things sometimes happen. I loved all the history in this novel, the burgeoning Coney Island, the freak shows and all the strange sights to see on the Boardwalk. The descriptions of these things were amazing and this was the best characterization in this novel. I am a big time Hoffman fan, but this was not one of my favorites of hers. It did include some of her trademark magic realism but her characters, just did not draw me in, at least not after the first part of the book. There are two separate story lines going on and I loved all the history in this novel, the burgeoning Coney Island, the freak shows and all the strange sights to see on the Boardwalk. The descriptions of these things were amazing and this was the best characterization in this novel. I am a big time Hoffman fan, but this was not one of my favorites of hers. It did include some of her trademark magic realism but her characters, just did not draw me in, at least not after the first part of the book. I love Alice Hoffman. I just think I've read too many "quirky freak show/circus people in fantasy or alt-worlds" lately. Or just in my life. This is a nice book though, the writing is lovely as always, I just felt like the ending didn't kind of live up to the beginning somehow? It felt rushed. Basically this book reminded me of the Night Circus a lot, which I loved more and read too close to this, so there's probably that that's making me circumstantially biased. It's a very nice book! And I'm a I love Alice Hoffman. I just think I've read too many "quirky freak show/circus people in fantasy or alt-worlds" lately. Or just in my life. This is a nice book though, the writing is lovely as always, I just felt like the ending didn't kind of live up to the beginning somehow? It felt rushed. This was sloooooowwwww!!! Oh so slow for my tastes. I think maybe I was expecting something else when I picked this book up. But NOTHING happened in this book. It was a bunch of short anecdotes of people involved in the museum with one consistent backstory that popped up every now and then. Like for two pages, admist all the walking, staring into the mirror and 101 on how to be a pathetic character. And then the major development of the book, the development promised in the blurb happen 2 Stars! And then the major development of the book, the development promised in the blurb happened on page 200. What happened before that, I wonder. Nothing. NOTHING happened. Oh and the ever-shitting insta-love?!!! What was up with that. You give me nothing till 70% of the book and then one look and BAM! "We fell in love in one second" Yikes! Whatever. This was such a bust. People say that if you hate this one, you will like The Night Circus. So I might read that at some point. But for now, I am done with Magical Realism. 3.5 STARS Gosh, I really have mixed emotions about this latest Hoffman offering. The first part of the book did not initially draw me in or hold my interest, and it took almost half-way thru to see where the story was headed with any connection between Eddie and Coralie, the protagonists. There are great secondary characters though, particularly Maureen and Mr. Morris as well as the vile Professor Sardie (Coralie's father) who exploits every animal and human alike including his own daughter all 3.5 STARS Gosh, I really have mixed emotions about this latest Hoffman offering. The first part of the book did not initially draw me in or hold my interest, and it took almost half-way thru to see where the story was headed with any connection between Eddie and Coralie, the protagonists. There are great secondary characters though, particularly Maureen and Mr. Morris as well as the vile Professor Sardie (Coralie's father) who exploits every animal and human alike including his own daughter all in the name of greed. The best part of the story for me was the inclusion and very vividly recounted true historical events of two horrific fires that took place in New York in the early 1900's; one at the Triangle Shirtwaist Factory and the other at Dreamland in Coney Island. Overall, I think this is a pretty good read, for the historical value alone, but I personally would have enjoyed it more with a single narration (without the sometimes repetitiveness of the italic's section), AND without the animal cruelty. 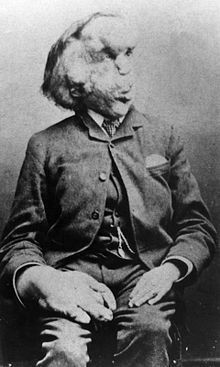 This was an interesting read about Coralie who was born with a deformity, and who now works for her father in The Museum of Extraordinary Things. This museum is placed on Coney Island in the 1900s, and it's an exhibition of magical or deformed creatures who are not considered humans. This story is also about Eddie; a photographer working in New York City. Every second chapter is told from his perspective, and the rest is told from Coralie's. While this was a very intriguing story about how abnor This was an interesting read about Coralie who was born with a deformity, and who now works for her father in The Museum of Extraordinary Things. This museum is placed on Coney Island in the 1900s, and it's an exhibition of magical or deformed creatures who are not considered humans. While this was a very intriguing story about how abnormal people can be treated and looked upon, it also had a very slow pacing. The beginning of the book is heavy on the descriptions, and it isn't until the very last chapters that things start to really pick up and you see what the bigger picture is. While I don't need for a book to have a fast pace throughout, I found myself bored reading most of this book. Eddie's story was highly interesting because it was relatable. I found it fascinating reading about his photographies and his growing up into adulthood. Unfortunately, I cannot say the same for Coralie. While I suffered with her, I just couldn't connect with her in any way, which made all of her chapters dull to me. This was my first book by Alice Hoffman, and despite my problems with its pacing and one of its characters, it has impeccable writing! Alice knows her craft and I enjoyed stumbling upon beautiful phrases. I still wonder, though, why she decided to split each chapter up in a section from a 1st person narrator and then a section from a 3rd person narrator - both sections were on the same character. That feature puzzled me quite a bit, and I don't feel like it added too much to the story. The first half was quite good. I thought the reviewers had it wrong and that the stars should be higher.. But the second half, I lost interest and ended up speed reading . My first book by this author. It might well be the last. What a ride!! I'll be posting my review tomorrow...right now I have to pull myself together and get my emotions back in check. Wow! This is my favorite of the year so far. “This is the dawning of the Age of the Aquarius…Aquarius! Aquarius!”. I’ve never had that song in my head, ever. Well, maybe the night after I saw the traveling production of Hair, but that has been quite a while back. It kept repeating in my head this morning as though it were dying to be heard, and how fitting that the book comes out tomorrow during the month of the Aquarius and the book is centered around a young girl who lives the life of a fish. The Museum of Extraordinary Things begins with a young lady named Coralie. Her name seems fitting as she is destined to live most of her life in water. Her father, Sadie/the Professor is a tyrant who was once a magician in France. After being exposed and sued for the mistreatment of one of his employees, he snuck away to New York City where he decided to work in the name of Science rather than magic. This is how the Museum is brought to life. This place is not what one would consider an ordinary museum, as the name insinuates, but one filled with animals, fossils, and humans of the unique type. Sadie hires employees who are missing arms and replaces them with silk butterfly wings, a man who is completely covered with hair and looks beastly, a woman so thin that you can practically see through her, etc. At one point he refers to them as freaks, so in some ways this is his idea of a freak show for all the world to see and it is all in the name of ‘science’. It is not just the performers who have a ‘deformity’, but Coralie has one just as well. She has webbed fingers that are continuously hidden by gloves year round, with the exception of when she is in the water. Naturally she is ashamed to be so different and had once attempted to cut the webbing off. It isn’t until Coralie turns ten-years-old that she is even allowed to see all of the creatures and attractions of the museum. As a child, she was forced to cover her eyes with Muslin so that she couldn’t see all of the monstrosities of the museum. The day of her tenth birthday would be the day that she would become the main attraction, and she knows this as soon as she spies her birthday gift from her father. Her father was always looking for the next big attraction and when Coralie’s popularity started to wan as she got older, he set out in hopes of something bigger. During the evenings, he had her swim in the River while tugging at fishing lines and frightening local fisherman to believe there was a monster of some kind in the water. He was doing this in hopes to be the person who discovers this beast and of course will display it in his museum. One evening, the current seems to be stronger than Coralie is used to and she has no marker that lets her know how far up the river she is. She swims further than planned and comes upon a handsome man and his overly-friendly pit bull terrier. She sees that he is next to a camera and must be a photographer. When she sees his face, it is as though she falls in love in that very instant. Eddie is the name of the photographer. He was once a practicing Orthodox Jew named Ezekiel, but after his father jumps in the River of what Ezekiel believes is an attempt of suicide for the mourning of his deceased mother, Ezekiel decides in that moment that his father is a coward and he doesn’t want to be like him. Ezekiel is soon hired by a local “wizard”, Abraham Hochman, who the locals believe is psychic and solves the locations of husbands who have escaped the duties of their families in order to begin a new life. It seems miraculous that he solves all of these mysteries all by himself to the public, but in truth he hires a handful of young boys to do his dirty work. Ezekiel becomes one of his runners and find that he has a natural talent at finding the scum bags and even finds the corpse of a missing boy although he gets no recognition for it, as it is Hochman who is believed to have discovered the location of the deceased boy. Not long after this Ezekiel happens upon a photographer named Moses Levy, cuts his hair, and changes his name to Eddie and leaves the world of the Orthodox behind. 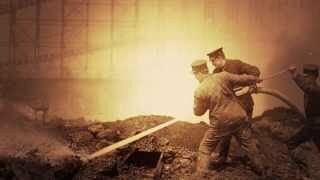 He becomes an apprentice of the photographer up until his death. Although at times he felt like an imposter with the camera, Eddie tried to stay on the same path as his mentor as he knew he was headed in the right direction. Eventually he realizes that he doesn’t have the same eye as Levy, who focused mainly on the beauty of nature and make a living shooting the happiness of wedding ceremonies. What enticed Eddie was the human condition in its various environments. He soon became a photographer for the newspapers, snapping shots of criminals who were either guilt-ridden or dead of all emotion and crime scenes. After seeing the world of shady men abandoning their families, corpses, and murderer’s it seems that Eddie has no use for life and is very detached in it. Eventually he is called to use his skills of investigating again and his life sets in an entirely different direction, one that introduces him to Coralie. It isn’t until the sight of Coralie that something unravels inside his heart and shakes him to the core. The depth of the book is amazing and the descriptives were astounding. Some can focus on the incredibly bad card that these two, and everyone around them for that matter, were dealt, but there is real beauty in each and every one of them. The heart of the story boils down to these two individuals who are searching for the truth and they see this quality, and somehow an immediate bond is formed. Coralie allows Eddie to see that his emotions aren’t dead and that he has an enormous amount of compassion and empathy that is deeply hidden. On the other hand, Eddie seems to bring out a side of Coralie that allows her to question her surroundings and eventually she aids him in exposing secrets and lies. They seem to work harmoniously together without effort. There were a handful of other characters and I became attached to every single one of them from Coralie to a Cereus plant that lies dormant and frustrates Coralie. Each and every life of the museum was exposed in a way that I wanted them to be set free and that included Coralie as well. I never thought it possible to be connected to even inanimate objects of a novel, but I am now guilty of it. I would say that this is my favorite book of the year so far. I never bite my nails and yet I have stubs today after finishing the book last night. My eyes were also a bit puffy from the tears the characters pulled from me. I was definitely taken for a ride with this read and although my emotions were all over the place, I appreciate a book that is able to pull that much emotion out of me. This book will be out tomorrow February 18, and I highly suggest reading this one. Not only is is unique, but it pulls you into the story. I suppose that I will keep singing the Aquarius song in my head, but hopefully it has stopped now that I have purged the contents of this book on the screen, so I will end it with, “Let the sun shine, let the sun shine in”. Thanks to Netgalley and Scribner for allowing me a copy of this fantastic novel. My introduction to Alice Hoffman isn’t exactly memorable. Practical Magic which spawned the 1998 film, starring Sandra Bullock, Nicole Kidman, and Goran Visnjic, seemed to primarily focus on the progression of plot, as opposed to character development. In between chapters, I seem to recall there being interludes containing various ingredients, mostly natural herbs, which, in light of the rest of the 1995 novel, added a little something. The writing itself, however, left much to be desired. At the time, it felt mediocre, though I could be mistaken, as I often reminds myself that memory is subjective. Additionally, I’m a completely different person now. I don’t believe that I fully appreciated quality writing (which might or might not have been there.) And I longed for more plot and action. On a side note, the film is one of the very rare instances where I actually prefer it over the novel. The Museum of Extraordinary Things is wholly different. In fact, I recognized almost instantly that the writing is truly stellar. In the interim, she honed her craft by leaps and bounds. It’s often beautiful, touching, and profound. In hindsight, I think I knew that as long as her exquisite writing persisted, and featured a compelling, well thought out cast, and decent storytelling, then it would be time wisely spent. It is all that, and much more. In a word, it's masterful. One of its strongest aspect is, undoubtedly, its historical accuracy, and for that alone Hoffman should be commended. In particular, she wrote about New York in the early 1900’s, and the tragic Shirtwaist Factory fire of 1911, and the horrific impact it had on Manhattan. In in the midst of devastation, heroism inevitably arises. It has to. It’s like an unspoken rule, or something. Such wisdom seems true not only in real life, but in fiction, as well. And in my admittedly limited experience, no other author does it as well as Hoffman. (She’s second only to Truman Capote, truly.) But more to the point, she utilized the facts and shaped her novel around them in such a way that it’s indescribable in a lot of ways. Her characters thrive as they’re thrown violently into this situation, which resulted in an impressive plot twist that though I knew a mysterious elements was forthcoming, I never saw its likeness emerging until it hit me squarely in the chest. This fascinating development allowed the crux of the story to thrive. Hoffman also helped solidify the novel’s sense of reality by incorporating historical icons, such as Alfred Stieglitz and Moses Levy. Their innovative techniques in photography played significant parts in forever altering how we perceive art, the world, and to some extent, ourselves. Hochman’s method’s of investigation felt very realistic to me. Reminiscent of Edgar Allan Poe’s early detective fiction, they were unique and groundbreaking, with a strong emphasis on professionalism, without the victim blaming that’s so prevalent today. The former work ethic felt hyper-surreal (almost otherwordly) and it saddens me that for the most part, it’s a thing of the past. Most astonishing was the fact that while reading Hochman’s words, it seemed original, despite the fact that Poe instilled similar values long before the events of Hoffman’s novel. There’s much to be said about U.S. immigration. The fact that it’s such a hot topic now makes it that much more relevant, and strengthens the work and the theme. As seen here, the influx of Russian and Ukranian individuals that desired better lives for themselves and their children. I almost get the sense that she likens it to God, which totally makes sense, as religion-the Jewish faith especially– plays a big part here. Together, Moses Levy and Alfred Stieglitz had the innate ability to “see into the world of shadows,” their art not only penetrated the grey realities of life, but the light and darkness, as well. Essentially, they captured “the soul” of the subject, positive or grim, and let the world decide. Much like Hochman and E.A. Poe’s sleuth, they seized the moment, reveling in honesty and goodness and compassion, regardless of its social standing. The narrative of the novel itself isn’t something you read every day, either. The two main characters, Eddie Cohen and Coralie Sardie, the daughter of a French immigrant and curator of the freakish museum, alternate back a forth, practically vying for dominance. Its format is interesting, too, because the first half of each chapter reads almost like journal entries, which takes you to the heart of these great characters. The first person combined with third person narration allows you to know them much, much more. I feel like I know them on a very personal level. The ending is the only element that I found lacking, and I’m not even sure why. Everything fell into place nicely and nothing felt contrived (I even found myself rooting for Eddie and Coralie to be together, which is rare for me.) There’s even another killer twist, so I don’t know why it feels like something is missing. That one unknowable element, I guess..
For that reason alone, I dropped my rating down to a strong 4.5 stars. It amazes me still, that so much growth and maturity is possible in an individual, and that Alice Hoffman was able to achieve it in a relatively short duration. Then again, what do you expect from an author that had her debut novel, Property Of, published while attending college, at twenty-one years of age? I might just have to revisit Practical Magic, after all! “The Museum of Extraordinary Things” by Alice Hoffman, published by Scribner. This book goes beyond Fiction/Literature with adding Romance and Historical Fiction to the story. The story takes place in the early 1900’s in New York City. Alice Hoffman gives insight what it must have been like to live at this time in a city that contained unbelievable wealth and unbelievable poverty. She frames her story around two major fires that to “The Museum of Extraordinary Things” by Alice Hoffman, published by Scribner. This book goes beyond Fiction/Literature with adding Romance and Historical Fiction to the story. The story takes place in the early 1900’s in New York City. Alice Hoffman gives insight what it must have been like to live at this time in a city that contained unbelievable wealth and unbelievable poverty. She frames her story around two major fires that took place at that time. The Triangle Shirtwaist Factory Fire where over 140 people died to a locked door, absence of a sprinkler system, and inadequate fire equipment, and most importantly greedy management. The second fire was the Dreamland Fire that for all practical purposes destroyed the area of Coney Island. The story chronicles the lives of two young people. Coralie Sardie whose father owns a museum that today would be considered a freak show. He conditions his daughter to become a mermaid in his show and shelters her from the real world. Ezekiel Cohen who came to this country with his father find themselves at odds with each other regarding religion everyday life. He disowns his religion and his father and sets out to be a photographer. “The Museum of Extraordinary Things” falls on hard times due to competition and Coralie begins to explore life and discovering shocking things about her life. Ezekiel and Coralie come together when Ezekiel becomes involved in the hunt for a missing girl that may have run afoul while working for better working conditions in the sweat shops of New York. A beautifully told story that should more than satisfy any reader interested in this era of history, but those that are also looking for a good romance mixed with mystery. I bought this on impulse and wish I hadn't. While at times the writing the lovely, I found the subject matter distressing. An ex magician runs a museum of "natural wonders" on Coney island, he's a vile and disgusting man who exploits everyone who works for him including his daughter. There are so many ugly things in this book, parents who sell children, vulnerable people who are exploited, cruelty to animals, the cruelty of people to each other. The book also contains lengthy descriptions of two re I bought this on impulse and wish I hadn't. The book also contains lengthy descriptions of two real life fires that occurred in New York in 1911...but that just meant more awful descriptions of people and animals burning to death. There are some very good and kind people in the story...but for the most part they are treated unfairly and still have tragic lives. There's some happiness at the end, but by then it was too late and didn't nearly make up for the misery that came before. Spellbinding! There is so much to captivate you here – the story, the language, the history, the characters, the construction of the plot and the narration devices - all are masterfully done. The story of Coralie and Eddie is primarily book-ended by two actual events – the Triangle Shirtwaist Factory fire in New York City on March 25, 1911 and the Dreamland Amusement Park fire on Coney Island on May 27, 1911. Ms. Hoffman clearly did her research on these events – there is vivid detail here and so Spellbinding! There is so much to captivate you here – the story, the language, the history, the characters, the construction of the plot and the narration devices - all are masterfully done. The story of Coralie and Eddie is primarily book-ended by two actual events – the Triangle Shirtwaist Factory fire in New York City on March 25, 1911 and the Dreamland Amusement Park fire on Coney Island on May 27, 1911. Ms. Hoffman clearly did her research on these events – there is vivid detail here and some of the actual players in those events find their way into this story. I was so interested in these events after reading the book that I did my own research afterwards and marveled at how much of what was in this book was actual history. The characters in the book are diverse and memorable. Coralie’s father “The Professor” is a cunning and depraved monster, the hermit Jacob Van der Beck is a sly but wise rascal (he delivers the book’s funniest “laugh out loud” line on page 221 of the hardcover version), Joe the liveryman is a former convict who has a strong moral center and turns out to be a hero, Mr. Morris (a.k.a. “The Wolfman”) is considered a freak but quotes Walt Whitman and has a quiet dignity and soulfulness in his bearing, Maureen is the scarred housekeeper who loves Mr. Morris and Coralie – even the dog, Mitts, has an abundance of personality. But the heart and soul of this book is a love story of two people, Coralie and Eddie, who have no reason to believe in love but find it in spite of some significant odds. Coralie is a young woman living on Coney Island with her father and their housekeeper, Maureen. Her father runs “The Museum of Extraordinary Things,” which is basically a freak show. Born with webbing between her fingers, Coralie has been exploited by her father as his star attraction – The Human Mermaid. With her father in desperate need of a newer and grander exhibit to compete with the Dreamland Amusement Park soon to open on Coney Island, Coralie is forced to swim the Hudson River at night, pretending to be a beast with teeth and green scales. Those who catch a glimpse of her disguised form call her “The Hudson Mystery.” Coralie’s father plans to claim that he has captured the Hudson Mystery and schemes to cobble together a monster to support his claims. Eddie is a Ukrainian refugee. He and his father are Orthodox Jews living is a Brooklyn tenement and working in factory sweatshops as tailors. One day Eddie observes his father in what he perceives to be an act of cowardice. Eddie’s whole world shifts – he abandons his faith, his father and begins to do as he pleases. One thing leads to another until Eddie discovers his true calling as a photographer. One day Eddie awakens to hear fire bells and a roar echoing from downtown. He grabs his camera and makes his way to the Asch Building, where the 8th, 9th and 10th floors are on fire – the Triangle Shirtwaist Factory. How all these disparate characters and threads come together is amazing. The tale does take a bit of time to develop, but you won’t be able to put the book down by the end. This is my first 5-star read of 2014. Highly recommend. Thank you NetGalley and Scribner for an advanced copy of this book. This story is about Coralie and Eddie. The books alternates between their narrations. Their separate narrations also alternate between 1st person and 3rd person. I found this to be a bit odd, but the book was so entertaining that it didn't bother me much. Coralie's father runs "The Museum of Extraordinary Things" on Coney Island in the early 1900's. This museum is attached to their home. Coralie reminisces about her past, but most of the book takes place during her mid-teen years. Her childhood is dysfunctional, but that is not the fault of the odd people who work at the museum. These are people that would be considered "freaks of nature", but to Coralie they are unique and wonderful. Coralie also has her own distinctive talents that earn her a job among these people. At this same time, Eddie is a photographer in the city. He and his father are Jewish Russian immigrants. Growing up, Eddie is not at peace with his religion or his place in life and works to change it, sometimes by shady means. He abandons his father when he meets a famous photographer who takes Eddie under his wing. Eddie becomes caught up in solving a missing person's case. This investigation eventually leads him to meeting Coralie. To me, this book is about trying to change your lot in life and learning to be thankful for certain things in your past that have molded you into the individual that you are. I was instantly caught up in the details of Coralie's life and the museum and it's inhabitants. Hoffman paints such a unique and eerie cast of museum employees that are really so normal in their wants and needs. She also brings in interesting characters that relate to Eddie's story. I found this book to be very well balanced in terms of good character development and having a variety of history, mystery and romance. For a book without any actual magic, it has a very magical atmosphere about it. This book could have stood on it's own with only Coralie's story, it was just that good to me. That is not to say I didn't enjoy Eddie's narrative because I did, I was just a bit more smitten with the cast of characters on Coney Island. This is my first time reading Alice Hoffman, but it will not be my last. Gosh this book, was truly something! I picked it up on a whim and didn't expect to like it at all. The story revolves around extraordinary people who are being displayed in a Brooklyn museum. Coralie, the daughter of the museum owner is herself, a wonder. But only wishes to be ordinary and fall in love. Which is what happened when she met Eddie, an outcast photographer. I loved the story plot, switching between Eddie's and Cora's POV. The story revolves around the search for a missing girl and t Gosh this book, was truly something! I picked it up on a whim and didn't expect to like it at all. I loved the story plot, switching between Eddie's and Cora's POV. The story revolves around the search for a missing girl and the gothic atmosphere surrounding this early era of New York in the 20th century. You feel like you're living in this era: in all of its disturbing, glorified essence of harsh labour, cruelty, family and escaping your past. I find myself flinching a couple of times at the descriptive scenes. The writing pulls you in and is really beautiful. 1. The story revolved around 2 fires, what did you think this symbolises? 2. Eddie says “the past was what we carried with us, threaded to the future, and we decided whether to keep it close or let it go” (139). Was Eddie able to let his past go? Did you sympathize with his decision to move away from his father? 3. Why did Maureen choose to stay with the Professor and Coralie, in spite of his treatment of her? Of the lessons that Maureen taught Coralie, which were the most important? 4. What did you think of the love story between Eddie and Cora? Was it fate? Do you think they could have easily surpassed one another? This is my first Hoffman book. I had no interest in her earlier works, haven't yet read Dovekeepers (on my list), but was intrigued by this story. I'm from Long Island and grew up with Coney Island and its mythic shadow. So I'm coming at this reading as sort of a Hoffman virgin. And the book for me was well done enough that I enjoyed it and want to read Dovekeepers for sure. What worked and didn't work? I guess from a fellow writer's pov, I know how hard it was for her to accomplish all she did. This is my first Hoffman book. I had no interest in her earlier works, haven't yet read Dovekeepers (on my list), but was intrigued by this story. I'm from Long Island and grew up with Coney Island and its mythic shadow. So I'm coming at this reading as sort of a Hoffman virgin. And the book for me was well done enough that I enjoyed it and want to read Dovekeepers for sure. What worked and didn't work? I guess from a fellow writer's pov, I know how hard it was for her to accomplish all she did. The research esp. into the landscape even more than the events was remarkable. When Eddie is wandering along the riverbanks and in the swamps, you hear the night birds and smell the flora and fauna. And for the most part, the prose flowed beautifully, and her descriptions of characters are unique (rabbi: He was an old man from Russia, who owned a single suit that he wore every day. There was sorrow in the seams of his clothes, but he was used to death. It seemed that life was a bolt of cloth to him, and he was there to fold it and set it in a drawer). But in some places the prose resorted to cliches, and I found some glitches in the editing where facts were repeated verbatim. I think some on GR complained about the obvious plot. I don't think of that as a problem. Almost every book you pick up with a love story, you know where it's going, don't you? But I agree with some of the critiques that there was little to go on once the characters actually met. It felt as if the book was a set-up for this moment, and the moment was too far along and had to be cut down in an editing rush. I did not get on well with this book AT ALL. I found that surprising considering it’s set in an interesting period of history (early 20th Century) in a fascinating place (New York), is based around a freak show, a tragic factory fire and the mystery surrounding a missing girl. It’s also set in Brooklyn (where I’m currently living). With all that in mind, it’s amazing that it was SO FLIPPING DULL. The word ‘for’ is massively overused in this book - ‘For she knew’, ‘For he thought’. In almost all cases it’s a completely redundant word. Even more infuriatingly, nothing in the book is ever seen, looked at or found, it’s always bloody SPIED ('He spied her', 'She was worried she might be spied…'). Once I noticed these tendencies I found them intensely aggravating. It felt like the author was trying to make the book feel more authentic by using “old fashioned” language, but it was alienating more than anything, probably because it was done in such a half-assed way, incorporating only certain elements of ‘old fashioned’ writing and speech. (although learning about the period in question is always a cheeky bonus). The author had obviously done her research but the way that historical facts were interspersed into the story was at times beyond clunky. E.g. “She was not far from the last wild land to the north, but she had no idea of where north was, as she had no idea that the Bronx itself was being remade after the building of the Grand Concourse, modeled on Paris’s Champs-Elysees". If the character through whose perspective the story is being told doesn’t know something why is that fact included in the story? . It’s just amateurish. There’s just no suspense, (view spoiler)[ Eddie gets asked to find Hannah Weiss, in the next chapter we find out where Hannah Weiss is and where she’s going. In the next chapter Eddie finds out where Hannah Weiss is. He instantly falls in love with Coralie (for no reason). As soon as Mr Weiss commissions Eddie to help he goes to his father’s house and gives him a wad of cash. It was just so boring. All of the problems and mysteries were instantly resolved (hide spoiler)]. Also, Eddie doesn’t do any actual detective work, (view spoiler)[ he tries to track Hannah down but doesn’t get anywhere, then he goes fishing and bumps into a guy who tells him all the information he needs to know. Then after he retrieves her body and attends the funeral he is followed home by a guy who tells him unprompted where the murder happened and why. I mean, wtf? (hide spoiler)]. This book took forever. In fact I think it sort-off cause a reading slump. Firstly I have to say that this was a new genre for me, and judging by this book one I'll never read again. I just couldn't get myself to care about the History in this book. Yes it was horrific, yes it was hart breaking, but it just never spoke to me. The writing was beautiful, although very repetitive at stages. And this dragged the story out just that extra bit to much for me. It felt like nothing happened in a few chap This book took forever. In fact I think it sort-off cause a reading slump. The writing was beautiful, although very repetitive at stages. And this dragged the story out just that extra bit to much for me. It felt like nothing happened in a few chapters and then everything happens in one chapter - wham there you go. I’m not entirely sure how I feel about The Museum of Extraordinary Things. Before I started reading the book, I knew it was a book of mixed reviews: some loved it, whereas others hated it. What seemed to divide people was how they felt about The Night Circus. Whilst I personally enjoyed The Night Circus, I’m not crazy about it in the way many other people are. I believe this I why I fall more on the ‘dislike’ than the ‘like’ end of the spectrum when it comes to The Museum of Extraordinary Things I’m not entirely sure how I feel about The Museum of Extraordinary Things. Before I started reading the book, I knew it was a book of mixed reviews: some loved it, whereas others hated it. What seemed to divide people was how they felt about The Night Circus. Whilst I personally enjoyed The Night Circus, I’m not crazy about it in the way many other people are. I believe this I why I fall more on the ‘dislike’ than the ‘like’ end of the spectrum when it comes to The Museum of Extraordinary Things. I do not hate this book, yet it is not the extraordinary read I had been expecting it to be. This book is part historical fiction, part mystery, part romance, and part magical realism. Excluding the first, historical fiction, I do not feel as though any of the other three components were all they were chalked up to be. I felt as though they were either lacking or forced, making it difficult for me to truly enjoy the story in the way I had hoped to. I was interested enough to see how things finished – in fact, that’s the reason this book earned a three star rating rather than a two star rating, as I found I had to finish the book to see how things came to an end – but I wasn’t engaged in the way I had hoped to be. I cared a little, but I did not have any emotional attachment to the story: I just wanted to know how everything played out. In regards to the historical fiction aspect, it was really well done. The world was brought to life around us, and it was very easy to imagine the setting and the events going on. Truthfully, I found this to be the strongest aspect of the story. I cannot fault the historical fiction side – unless you want to take in the lack of emotional impact regarding events. Certain events that played out didn’t hit me in quite the way I had expected them to, failing to pull upon my emotions in how I had hoped they would. Nevertheless, the historical components were the strongest part of the book. When it comes to the mystery aspect, it was okay. It was nothing amazing; it was just there. When a dead body was introduced I expected there to be a lot more drama than there was, a lot more amateur detective work, but things seemed to be glossed over. Events played to link things together and yet there wasn’t much by way of action: we were told this and that happened, we knew information was found out, and yet there wasn’t much in the way of heart stopping action that I like to see with mystery storylines. The romance was just… well, there. I really didn’t care for it. I didn’t feel anything for either of the main characters, and bringing them together did nothing for me. Their relationship lead to a couple of interesting moments, but as a whole I could have done without the romantic storyline. There was no real depth to it, nothing that I cared for. The magical realism didn’t seem to be there at all, in my opinion. We had a ‘freak show’ cast of sorts, but I wouldn’t label that to be in the realm of magical realism. I would view that as being a reflection of beliefs during the time the story is set in. Then we have a fish that… well, it didn’t really count as magical realism in so much as it seemed to be a reason to add more words to the story. I’m sure many will find some deep significance for the fish, but I really didn’t understand what it actually added to the story. 4.5 Stars! I really loved this book. The magic, the storytelling, the history, and the characters were spot on. At first, I didn't care for the constant Italic sections, but quickly got over that. Coralie, a child growing up with Professor Sardie in a house filled with oddit 4.5 Stars! I really loved this book. The magic, the storytelling, the history, and the characters were spot on. At first, I didn't care for the constant Italic sections, but quickly got over that. Coralie, a child growing up with Professor Sardie in a house filled with oddities, The Butterfly girl, The old tortoise, Siamese twins, the wolfman, all individuals who are different, come together to fill this strange home/museum. Coralie herself becomes the mermaid, spending all day in a tank and dyed blue. She yearns to escape and see what lies beyond the small museum that she calls home. Ed Cohen, a photographer, who has left all of his family, is a lone man living in a barn with his orphan pit-bull, Mitts. Eddie is a man broken by false disappointments, and is determined to solve the case of the missing girl from the Triangle Shirtwaist Factory Fire. He resolves to get to the bottom of this tragedy and comes face to face with his past. Both must overcome obstacles, and the biggest one being themselves to entwine their lives. I just fell in love at about the halfway point and couldn't put this book down. It was a slower build for me (one reason I gave it 4 instead of 5) but once I got it, I couldn't let it go. I loved Hoffman's storytelling, the history of Coney Island in the year 1911. Interweaving the idea of carnivals and freak shows, museums, and including the infamous Triangle Factory Fire brought me to an emotional point. Hoffman brilliantly weaves together the impossible, all the while connecting you to characters who are destined to come together. A beautiful story set in turn of the 20th century Brooklyn. Our two POV's are Eddie and Coralie whose lives come together after a tumultuous history on both sides. She a mermaid performing in the museum owned by her father of dubious reputation and he a Jewish boy who has turned his back on his father and religion to become a photographer and founder of 'lost' people. A young woman is murdered which leads Eddie on a mission that will bring him to Coralie and his destiny. I loved this book. My only regret is that I was reading it in bits due to time restrictions and wish I had been able to give it more time so I could have immersed myself more fully in this time and place. The Museum of Extraordinary Things tells the dual tale of Coralie and Eddie. Coralie's father owns The Museum of Extraordinary Things, located near the historical Dreamland amusement park on Coney Island, Brooklyn, in 1911. Coralie was born with webbed fingers and has to pose as 'human mermaid' in the museum. Eddie is running away from an Orthodox Jewish lifestyle and is a photographer. Coralie and Eddie's lives become intertwined the same year as the Shirtwaist Factory Fire and the Dreamland Fire. It took me a while to get into this book but once I did it was beautiful. The story is told perfectly in between these two major historical fires in New York in the same year and I really love how the fires symbolised something big in the character's lives. There was a real sense of magic in the ordinary in this writing, and the imagery and words were just beautiful. I loved how Coralie and Eddie's story came together. I love how they were struck dumb with love by each other the moment they saw each other (at different times) and I think this story proves that the concept of insta-love is believable and enjoyable when it's done well. There was a perfect sense of atmosphere in this book. The amusement park on and off seasons, the build up of Dreamland and the tensions it caused the Professor. I loved Eddie's descriptions of the community he grew up in and how he wandered back from time to time. It was a 1900's New York I haven't seen a lot of before in books and I loved it. I think people who know and have grown up in New York would love this book and there is a sense of history that's really interesting, even for someone like me who has never been. How I Came To Read This Book: I received an ARC from the publisher to review for my blog. The Plot: The story is told from two alternating perspectives. Each chapter is rather long, with the first half being told in first person, typically reflecting on past events, and the second half being told in a relatively omniscient third person. The entire story in the present takes place over about 3 months in the Spring of 1911. Coralie Sardie is the motherless daughter of the owner of a museum that hol How I Came To Read This Book: I received an ARC from the publisher to review for my blog. The Plot: The story is told from two alternating perspectives. Each chapter is rather long, with the first half being told in first person, typically reflecting on past events, and the second half being told in a relatively omniscient third person. The entire story in the present takes place over about 3 months in the Spring of 1911. Coralie Sardie is the motherless daughter of the owner of a museum that holds living (or previously living) curiosities - from a man covered in hair to a girl with no arms that dons butterfly wings to a giant tortoise that's over 100 years old from less 'real' exhibits that have been doctored by Coralie's father, Professor Sardie. Coralie herself, having bathed in ice water and swam in the ocean since she was a young girl, plus born with an abnormality of webbing between her fingers, is something of an 'extraordinary thing' herself, something her father deviously capitalizes on to greater and greater depths. Our other main character is a Russian Jewish immigrant named Ezekiel, who we learn has left his faith behind and now goes by the name Eddie, working as a crime scene photography. The Triangle Shirtwaist Factory fire of 1911 (a real event) leaves Eddie devastated and emotionally broken, particularly after the father of one of the girls who should have been in the fire hires him to track her down - a mystery that links both Eddie and Coralie eventually. The Good & The Bad: This book really teeters between 3 and 4 stars for me. The main reason why I'd tip it lower is the lack of emotional connection I felt to either character. The book's narrative makes it feel like there is a fair bit of 'telling' that is done as opposed to 'showing', which is in part a result of the switching points of view - too much of the book felt like exposition to me. It says something when I got the most emotional over a few animals by the end, as opposed to the human characters that are in mortal peril (sort of). The relationship between Coralie and Eddie is so instantaneous - but we are simply 'told' it is so, rather than providing any kind of basis of understanding. Even their first moments alone are told in this kind of detached, third person point-of-view. What's insane is that the rest of the book is really quite great. Hoffman does an impressive job of taking a real world and making it feel fantastical - I've heard comparisons to The Night Circus which isn't an unfair line to draw, although miraculously everything in this book is real. I also love stories that take real historical events and build their characters worlds' into them - this book takes two notable occurrences from this spring (the Triangle factory and Dreamland) and makes them key, realistic plot points (or settings) for our characters, similar to another fabulous book, Life After Life. I loved the cast of supporting characters, and the many layers of plot and stories that existed. The story manages to combine tales of a murder mystery, religion, socio-economic / class struggles, something of a heist, romance, coming of age, family drama and so on, each one relatively interesting in its own way. It could be construed as one of the pitfalls of the book in a way, that it won't commit to a single type of story (admittedly, when the story propelled itself forward in a particular direction I was more riveted, only to be disappointed when it would neatly wrap up that component) but in general I thought the blending of genres and plots was well done. When I look at the Goodreads ratings, I have to agree that while I really quite liked this book, I can't say I totally loved it in the way I have other books. It took awhile to get into and the meandering into different realms was at times distracting or disappointing. Still, definitely a worthwhile read that I think many, many people are going to love. The Bottom Line: Filled with a rich historical backdrop and colourful cast of characters, the book's broad scope at times becomes too much to handle, resulting in slightly overwrought narrative. But honestly, a very good read. Anything Memorable? : Look up photos of Dreamland the Triangle Shirtwaist Factory!